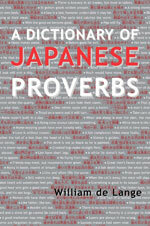 Companion volume to the author’s comprehensive Dictionary of Japanese Idioms, providing English equivalents or translations of over 1000 Japanese proverbs, with extensive cross-referencing leading to related expressions. 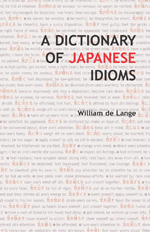 The most comprehensive compilation and English translation of Japanese idiomatic expressions, with more than 6000 idiomatic phrases under 1000 main entries, including several thousands of idioms never presented and explained in English before. 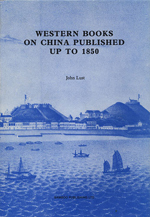 Describes some 900 works published from 1550 to 1850, as well as 300 additional items reprinted in collective works, covering the first great phase of Western involvement in China. 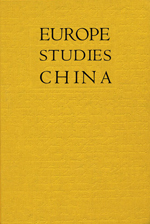 This outstanding work reviews Sinological studies in most European nations from their inception through the late 20th century, reported by the most eminent sinologists of that latter date. 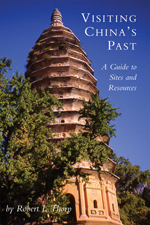 In 24 short essays, takes the reader on a tour of the most important archaeological discoveries in China of the last century, a readable and reliable introduction to Chinese archaeology. 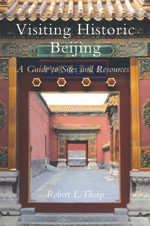 A guided tour for the curious traveler, and a readable and reliable introduction to how Chinese culture is integrated into the architecture and urban planning of one of the world’s most magnificent capitals. Winner of the 2014 Lucien Stryk Prize for Best Translation of the Year from an Asian Language, awarded by ALTA (the American Literary Translators Association). A fascinating eighteenth-century travel journal to an area of scenic beauty that remains a hugely popular tourist destination today, written by poet and artist Wang Hongdu (1646–1721/1722) and never before available in English.